T-Mobile USA and Research In Motion today announced the BlackBerry Curve 9315, a monoblock smartphone with a QWERTY keyboard and BlackBerry OS 7.1. The Curve 9315, a variant of the 9310, is an entry-level smartphone that includes a 3.2-megapixel camera, a dedicated BlackBerry Messenger button, GPS and navigation, parental controls, and support for microSD cards up to 32GB. The Curve 9315's display measures 2.44 inches and has 320 x 420 pixels. It supports 802.11b/g/n Wi-Fi, Bluetooth 2.1+EDR, and includes an FM radio. 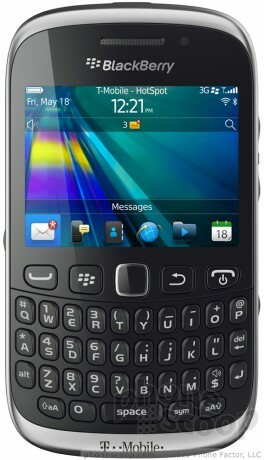 The 9315 will not be updated to RIM's brand new operating system, BlackBerry 10, which debuts later this month. The Curve 9315 will be available via presale to T-Mobile customers beginning January 16, and should reach T-Mobile stores January 23. It will require a deposit of $49.99 and then 20 monthly payments of $10 if paired with T-Mobile's Equipment Installment Plan. Alternately, customers can pay $49.99 for the 9315 with a traditional two-year voice and data plan. Why bother with this outdated phone if the new BB10 phone is coming out this month. This is a glorified feature phone. Boost sells the 9310 on prepaid for under $100. 3yrs ago this was outdated!! !